ABU DHABI, 8th September, 2018 (WAM) -- Archaeologists from the Department of Culture and Tourism – Abu Dhabi (DCT Abu Dhabi) are continuing to make spectacular discoveries that shed new light on the history of the UAE at the dawn of Islam. This was a period of time which ushered in a wave of change across the UAE. The new religion brought with it a set of values and beliefs that have since defined the history of the country. Close to the construction site of the Sheikh Khalifa mosque in Al Ain, DCT Abu Dhabi archaeologists discovered several falaj (irrigation waterways), at least three buildings and, more significantly, a mosque which dates back to Islam’s Early Golden Age of the Abbasid Caliphate, 1,000 years ago. 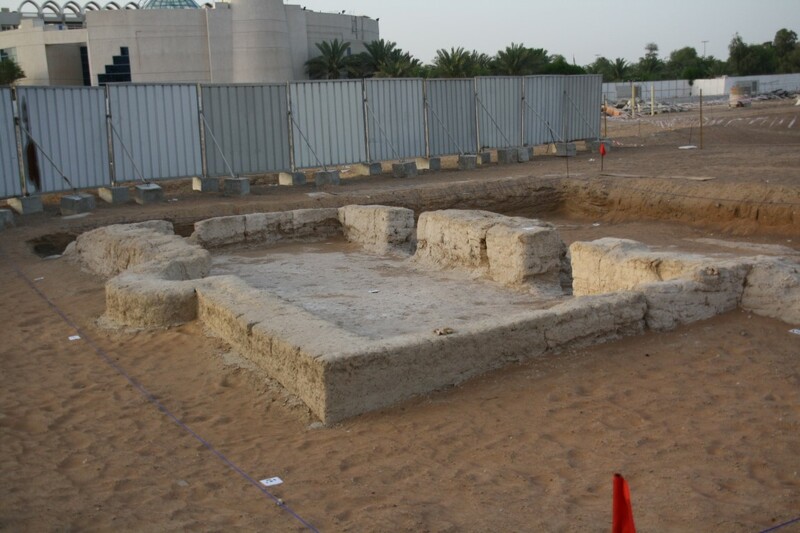 The mosque is the earliest yet discovered in the UAE. Mohamed Khalifa Al Mubarak, Chairman of DCT Abu Dhabi, said: "The new findings at the Al Ain archaeological sites prove the richness of the region’s history, which allows us to expand our knowledge of ages long past. The discovery of a mosque from the Abbasid period in Al Ain demonstrates the deeply-rooted influences of Islam in the region, despite the immense distance from where Islam first emerged and at a time when modes of transportation were quite rudimentary. However, these findings display clear and profound cultural influences that reveal how the connections established by our ancestors with neighbouring cultures and nations transcended borders and surmounted transport difficulties, which in turn calls for further analysis to form a holistic understanding of our past." 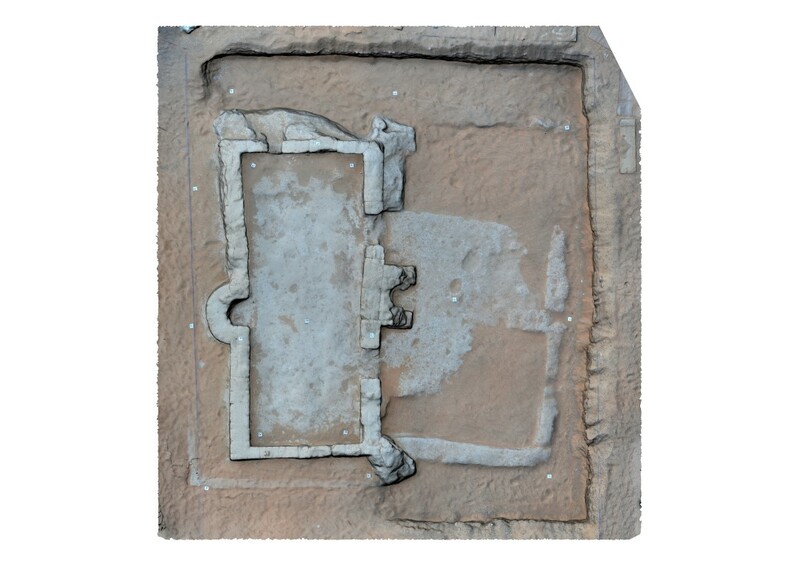 Experts have revealed that the buildings at the site, made from mudbrick, are the remains of a small fortress and several other structures. People living in these buildings would have obtained fresh water from several falaj that they constructed around the settlement. Falaj technology has a deep history in Al Ain stretching back 3,000 years. In the early Islamic period, the people of Al Ain improved the existing technology by using fired bricks to ensure the stability and durability of the underwater channels. When excavated these falaj were still intact. But the archaeologists believe it is the discovery and excavation of a mudbrick mosque that places Al Ain on the global map as an important centre during the early Islamic period. Experts were alerted to the fact that it is a mosque by the presence of a mihrab (a niche in the wall of the mosque, at the point nearest to Mecca) on the interior room and on the exterior. Thus the faithful would have prayed inside and outside the mosque, just as they do today. Fragments of pots, which were likely used for ablution (ceremonial washing) and other ritual purposes, were found inside the mosque and date from the 9th to the 10th Centuries CE. These discoveries and a radiocarbon date from one of the nearby falaj confirm that the mosque is the earliest yet discovered in the UAE. Experts believe that this simple mosque indicates the popularity and crucial position of Islam in the UAE in the centuries following the Prophet Mohammed (PBUH). Along with groves of date-palms supported by the falaj, Al Ain in the early Islamic period was already in a form that would be recognisable today. Archaeologists also believe the finds from the mosque point to another important feature of early Islamic society – that the spread of Islam opened up trade and ushered in a new global age of commerce. In addition to imported ceramics from the rest of the Arabian Gulf, several fragments of Dusun ceramics were discovered in the mosque and adjacent buildings. This unique pottery was produced in the Guangdong province of south China and was traded across east Asia and the Middle East. That Arab merchants and sailors ventured far from their homes to trade for these goods, is now indicated by the discovery of an Arabian dhow shipwreck off the coast of Indonesia. DCT experts don’t know if people in Al Ain travelled that far, but the discoveries indicate that the town, perhaps known then as Tawwam, was part of a vibrant global economic system. It likely participated in the trade through one of the ports that existed on the coast at this time. DCT’s experts are continuing to research in Al Ain and elsewhere in Abu Dhabi, in a bid to shed further light on the early centuries of Islam. Already, DCT archaeologists have investigated a Christian church that dates to this time on the island of Sir Bani Yas. This building highlights another critical feature of the early Islamic period: a tolerance and acceptance of other religions, which is still a feature of life in today’s UAE.